The 1.3 million-square-foot Bridgeport I Logistics Center, received this year’s Industrial Deal of the Year from NAIOP New Jersey. The project and its team was highlighted in the August edition of Real Estate NJ in an article written by BCONE's contributing author, Steve Dwyer. The project team was comprised of well-respected industry professionals in New Jersey, including BCONE's New Jersey Regional Council Member, Wanda Chin Monahan, Esq. from Law Offices of Wanda Chin Monahan, LLC. The former location of Nesma Auto Sales, Inc. and Mark One Auto Group, dealing in automobile sales and service, will be put to new, yet similar, use after significant remediation has ensured the safety of this former brownfield. 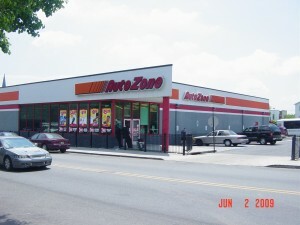 The site, at the intersection of Communipaw Avenue and Seidler Street, will now house an Autozone. This remediation will benefit the Jersey City community through the revitalization of a contaminated site and the generation of increased tax revenue. Developed since 1896, the site has been used commercial and residentially, with past uses including a bakery as well as Nesma Auto Sales, Inc. and Mark One Auto Group. After demolition of the existing site structures, including a sales office, auto garage, and parking lot, a site investigation conducted by Whitestone Associates, Inc. revealed that soil levels of polynuclear aromatic hydrocarbons (PAHs), polychlorinated biphenyls (PCBs) and heavy metals exceeded state standards. Most contaminants were attributed to historic fill. Remediation activities included excavation of approximately 1400 tons of contaminated soil for off-site disposal, including a PCB hotspot. The site was also capped to ensure both protection from and containment of any remaining contaminants. The site is currently awaiting a letter of No Further Action from the NJDEP, but has undergone remediation pursuant to non-residential-use standards. A deed notice will be filed to prevent disruption of the cap. In addition to the aesthetic benefits of remediation, the site will also now generate increased taxes for Jersey City, enabling increased funds for community programs and services. Between the years 2000 and 2005, prior to site remediation and construction, the property taxes for the site hovered around $2,500. However, for the year 2007, after the majority of the remediation had been completed and the Autozoneä was built, the property taxes for the site leapt to approximately $26,600 – over a ten-fold increase! The $415,000 remediation cost was funded in part by the Brownfield Reimbursement Program. The program, run jointly by the NJDEP, NJ Department of Commerce, and NJ Department of Treasury, reimburses up to 75% of remediation costs through state taxes generated by a new construction on a brownfield site. With the remediation now complete, what was once the contaminated site of an old car dealership, how houses a new Autozone – revitalizing and generating increased tax revenue for Jersey City. The project is located at1301 Wall Street West in Lyndhurst,NJ. 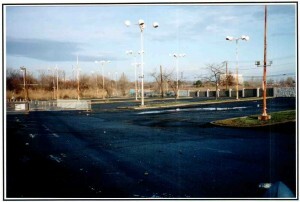 The 5.83 acre site, known as Block 228,Lot3 was the site of the former DeMassi Cadillac automobile dealership which operated at the site until about 1991. The site was vacant from 1993 until redevelopment started in 2005. During that 12-year timeframe the underutilized property deteriorated and was perceived by the community as a social and economic blight. The site is located within the jurisdiction of the New Jersey Meadowlands Commission, which has three specific mandates including to 1) oversee growth and development within the region, 2) protect the delicate balance of nature in this environmentally sensitive area, and 3) continue to use the Meadowlands to meet the region’s solid waste disposal needs. Redevelopment of this underutilized site was supported by Township of Lyndhurst officials in part because of additional tax revenue it would bring to Lyndhurst and because it would enhance the area from an aesthetic, environmental, and business development standpoint. Due diligence sampling at the site, specifically in the automobile service area identified soil contamination near the hydraulic lifts as well as adjacent to trench and floor drains related to its former use. Upon identification of the contamination, AvalonBay Communities, Inc. (AvalonBay) submitted a Memorandum of Agreement (MOA) to the New Jersey Department of Environmental Protection (NJDEP) and entered into the voluntary Cleanup Program as the developer of the property. Upon demolition of the dealership building, remediation of impacted soils was conducted in the former service area by removal of the concrete slab and excavation of impacted soils. Post excavation soil sampling verified removal of impacted soils above the applicable criteria. After excavation, the impacted soils were transported to aNew Jerseylicensed soil recycling facility for thermal treatment. Remediation costs amounted to approximately $ 325,000 however; the Brownfield Reimbursement Program was utilized at the site to help off-set the cost for remediation. On July 8, 2009 the site received a No Further Action determination for soils from the NJDEP. Bob Ceberio and his staff at the NJ Meadowlands Commission. The redevelopment of this property, which cost approximately $60 million, has transformed a blighted site to an attractive apartment complex with 328 one and two-bedroom apartments, a few short minutes away from New Jersey’s premier sports and entertainment center including Giants Stadium, the Izod Center, Xanadu, and Meadowlands Racetrack. Manhattan and all its attractions are also easily accessed from Avalon Lyndhurst. Englewood Terrace, L.L.C. 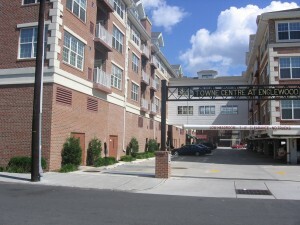 (“Redeveloper”) is the owner and developer of Towne Centre at Englewood, a mixed-use residential/commercial development located at 20 W. Palisade Avenue, Englewood, Bergen County, New Jersey. The Project encompasses a full City block bounded by Palisade Avenue, South Van Brunt Street, Humphrey Street, and Englewood Avenue in the City of Englewood. The Property is located within the City’s West Street Renewal Area and Armory Street Renewal Area (areas declared in need of redevelopment in the late 1980s) and was designated as a “municipal project” in 2001, subject to the City’s Mixed Use Residential/Retail (MURR) Overlay Zoning District. 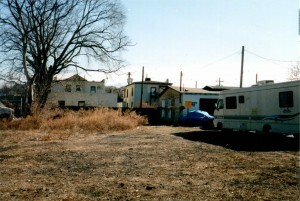 In 2002, the City designated Englewood Terrace, L.L.C. (successor-in-interest to Towne Centre at Englewood, L.L.C.) as redeveloper of the Property. 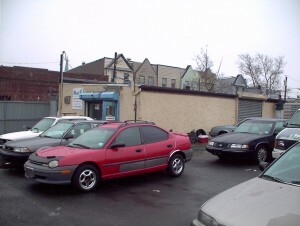 Prior to condemnation and redevelopment of the Property, the 3.28 acres comprising Block 2401 were occupied by 16 residential and commercial buildings in poor condition; some of these buildings (including several auto garages) were an eyesore in the City’s Main Street Commercial District and were continuing sources of environmental contamination. As part of the redevelopment, the Redeveloper retained EcolSciences, Inc. (“EcolSciences”) to oversee: demolition of the condemned buildings; Phase I and Phase II site assessments; soil and groundwater sampling; excavation of contaminated soils and underground storage tanks located at the Property, as well as transportation of these materials off-site for appropriate disposal; remediation of groundwater under the Property; a baseline ecological evaluation; and health and safety monitoring during the Project’s construction. The Redeveloper incurred approximately $2.66 million in costs for remediation of the Property and, on July 14, 2008, received a “soils NFA” for the Property (“the Department [of Environmental Protection] is not requiring further soil remedial investigation at this time”). Today, the Project (its redevelopment having cost in excess of $50 million) includes five interconnected buildings with below-grade parking constructed at the Property, hosting a mix of 188 residential units, 33,500 square feet of commercial space, a playground and other recreational space. Additionally, the Redeveloper has constructed a municipal parking lot for public use containing 106 metered parking spaces, which provides customer parking for the commercial space in this Project as well as much-needed parking for other Palisade Avenue merchants. The Project has served as a catalyst for the revitalization of the western section of Palisade Avenue.The Project generated approximately $817,000 in sales tax revenues on construction materials and is projected to generate approximately $375,000 annually in retail sales tax revenues. The Project was privately financed by the Redeveloper under an “Agreement to Reimburse for Remediation Costs” executed in 2006 by the New Jersey Commerce, Economic Growth and Tourism Commission, the Treasurer of the State of New Jersey, and the Redeveloper. The Towne Centre at Englewood Brownfield Redevelopment Project Team was comprised of the NJDEP case team (led by Case Manager Amy DaSilva), the City of Englewood, the Redeveloper, EcolSciences, Perkins Eastman Architects, P.C. (the architects), Chester, Ploussas, Lisowsky Partnership, LLP (the engineers), and Waters, McPherson, McNeill, P.C. (the Redeveloper’s attorneys).